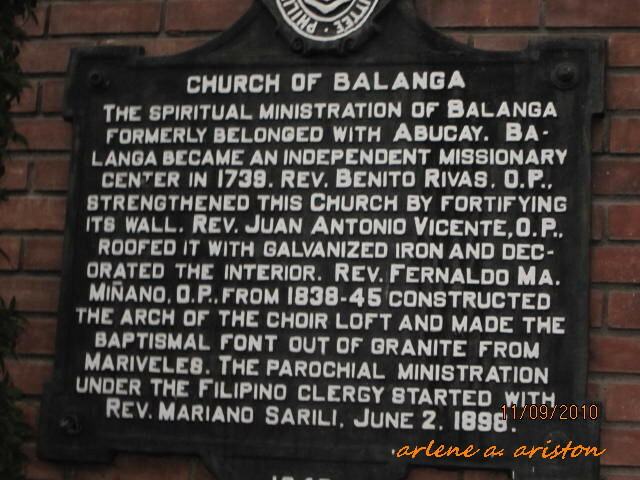 Our destination is Balanga, Bataan. Hubby and I left the house at exactly 5:30am and had a pit stop at 6:40am at Total somewhere in San Simon, Pampanga for breakfast. 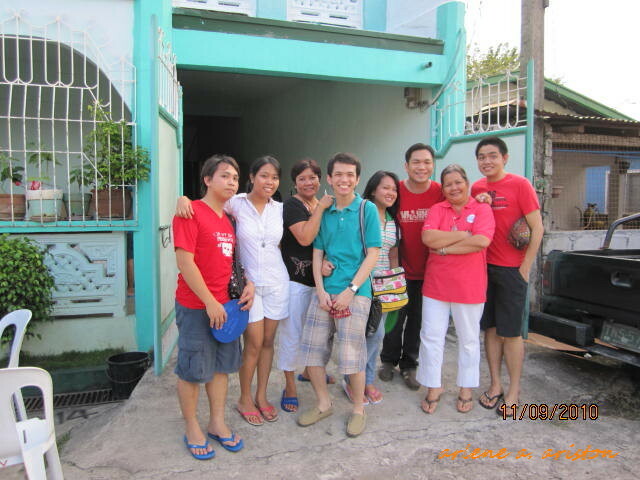 We had to wait for Andy’s family before proceeding to Bataan. Aside from a previous trip with the kids more than 23 years ago, this is just my first time to really see the place and meet some relatives too who came all the way from Pangasinan to attend Melissa’s thanksgiving party for passing the nursing board. The azure blue sky as always beckons me to take a few shots. 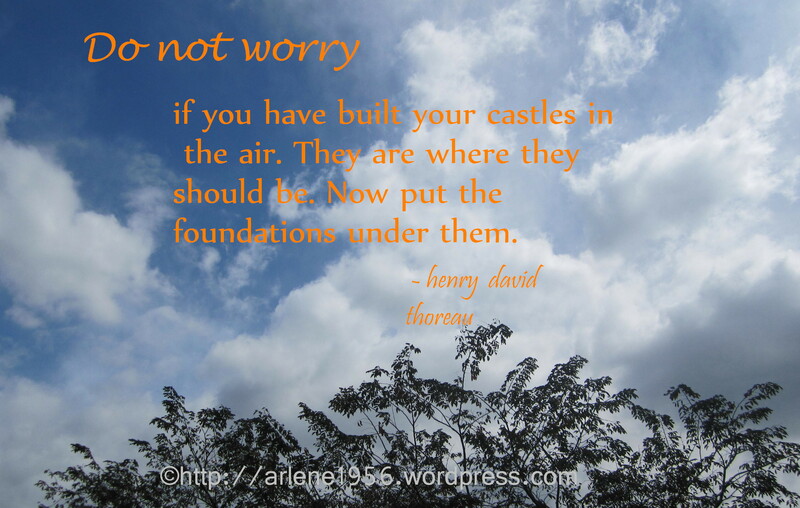 I just love the idea of fresh air and wide spaces. Great! I am so looking forward to having a wonderful time with relatives and bonding with them. Would love to hear mass at the Cathedral too. I haven’t had any sleep the last two nights. My mind was simply chaotic. I was literally counting sheep, so to speak. Hubby suggested that I take a nap on our way there but I told him, “not on your life, I wouldn’t want to miss the scenery“. I won’t be able to sleep anyway because I am just too excited to see the place. We finally reached it at around 9:30 am after about an hour of waiting for Andy’s family to arrive at the designated meeting place. 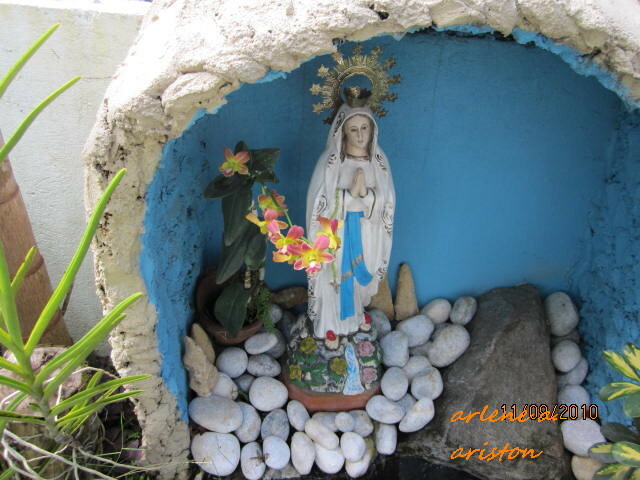 First thing I did was to visit their small grotto in front of the house. 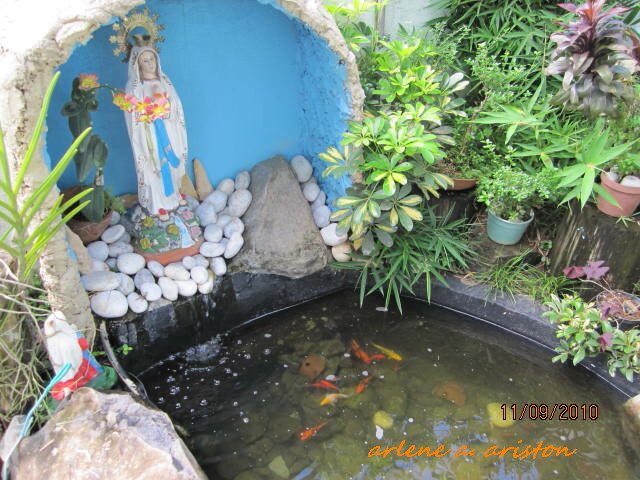 Love their Koi fish, they are so cute and tiny. They were in different colors of orange, yellow and a combination of brown. Our Koi at home are larger than these , they are around five to six inches now in length but they are still a joy to watch when they are swimming. 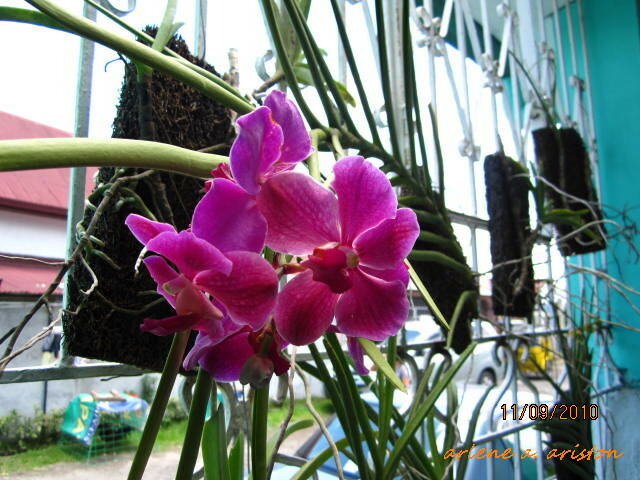 They have Vanda and Dendrobium orchids too. It is always easy to take some shots when it comes to flowers and plants. 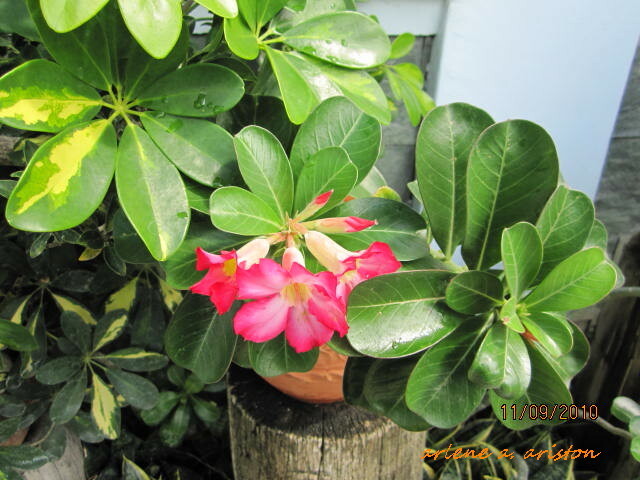 There is a great sense of fulfillment just seeing a bloom . 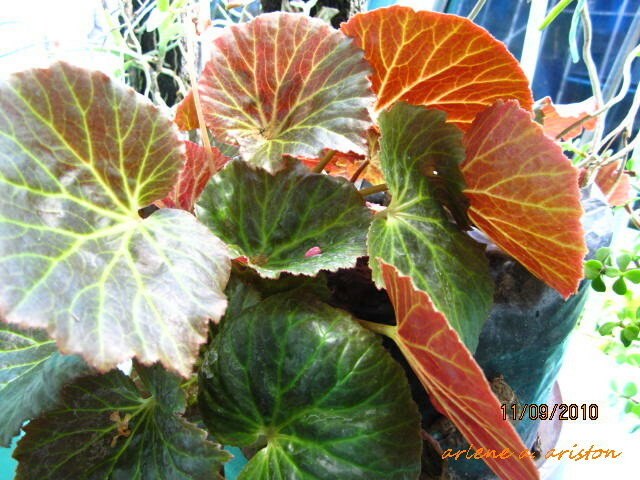 I used to have this Begonia too, the leaves are quite silky but I lost it during the typhoon last year. Why does it all boils down to the times before and after the flood. 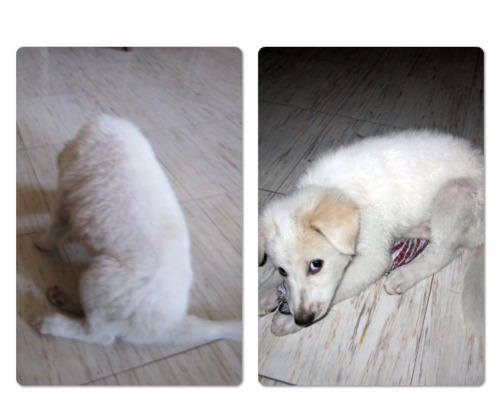 Sad to say, we lost so much during typhoon Ondoy. 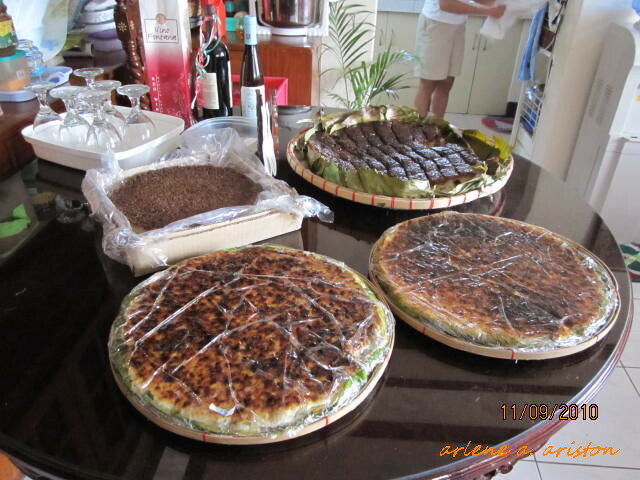 We were all laughing out loud when we saw the array of bibingka (rice cake) on the table. 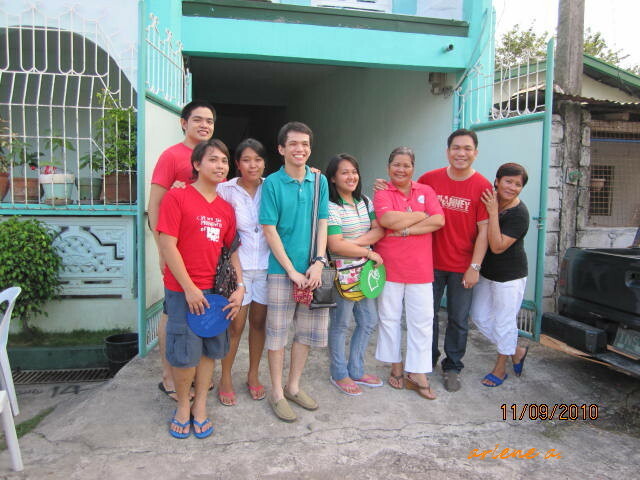 We seemed to have one idea of bringing along the same thing – from Pangasinan, Cainta and Bulacan. As they tasted differently, we enjoyed everything. We were even joking and making those taste tests as to which is the yummiest. Of course I’ve missed the one from our province in Pangasinan so that was the first on my plate. A slice is good paired with a hot green tea. 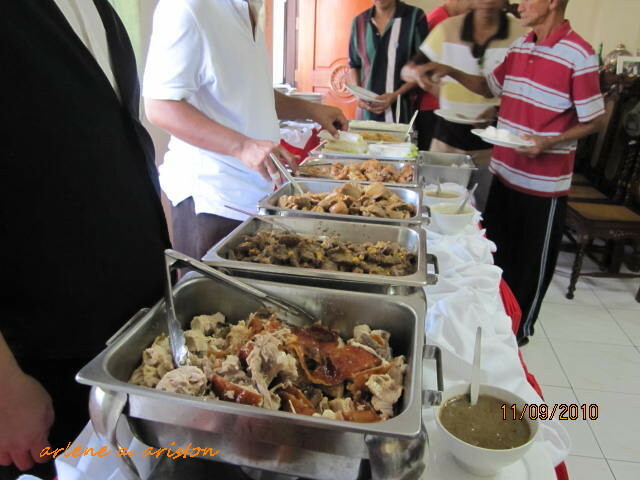 Lunch was a sumptuous choice of cordon bleu, chicken , lechon, pancit, fresh lumpia, pork and beef. They have lots of visitors, from lunch to late evening, there were still visitors arriving. 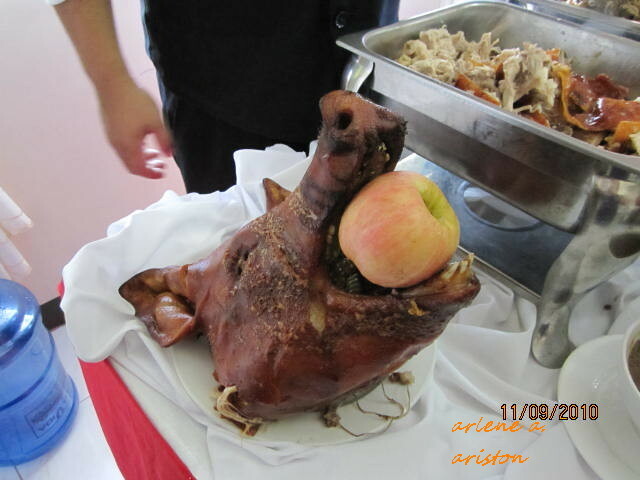 That lechon head has pride of place at the end of the table. 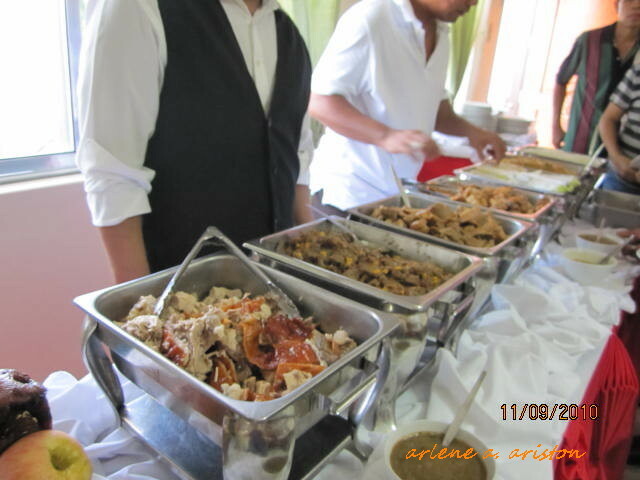 Wow, lechon! Haven’t tasted this for quite a while and when it comes to good old lechon, Filipinos serve the best. It has become a trademark when there are important occasions to celebrate, be it weddings, baptismal parties, kids’ graduation, you name it, it’s never far behind. And the thing is, when there are left overs, they’re cooked as lechon paksiw which taste even better. And how’s this for dessert? The sweetest watermelons I have ever tasted, they are a little crunchy to the bite and so fresh. 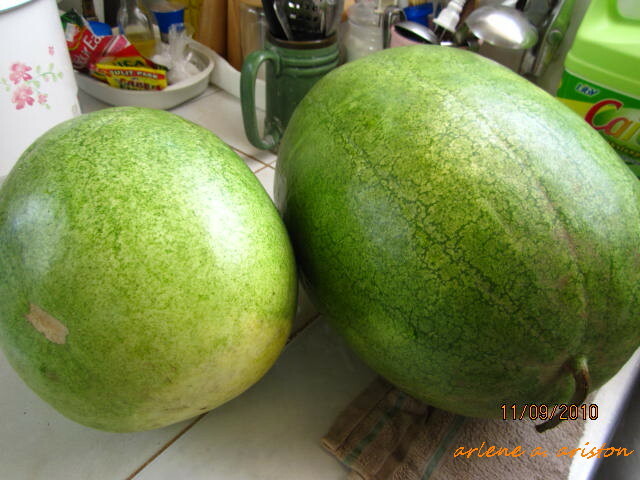 Their watermelons are so large that one head would probably weigh more than two kilo . 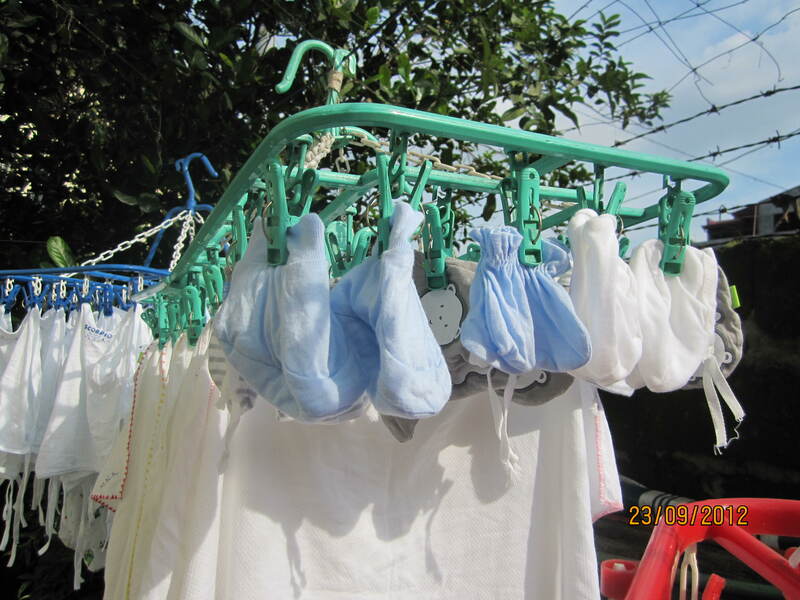 And to think that they only sell them for around P50 to P60 pesos a piece. Here in Metro Manila, they would probably cost double. We should have bought more. Mely introduced me to some of their friends, Fr. 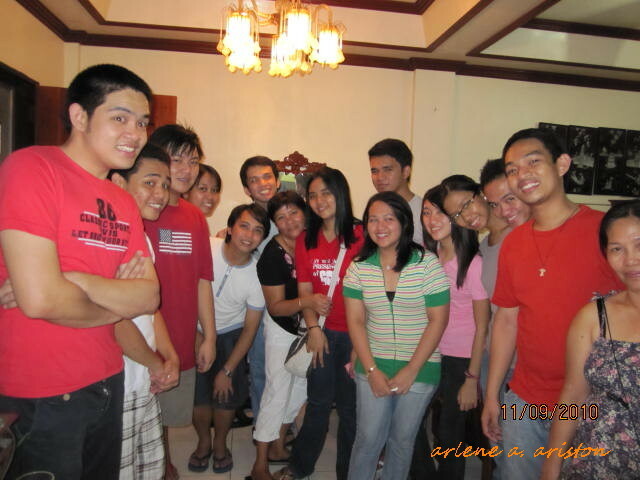 Jhoen Buenaventura, Rosie Miranda and some of the choir members of Canticles Music Ministry. 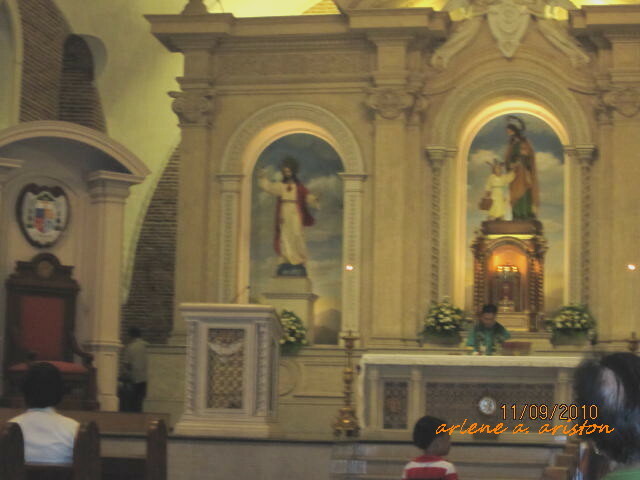 I told the hubby I wanted to hear mass at the Cathedral so we attended the 6pm mass which was presided by Fr. Jhoen. 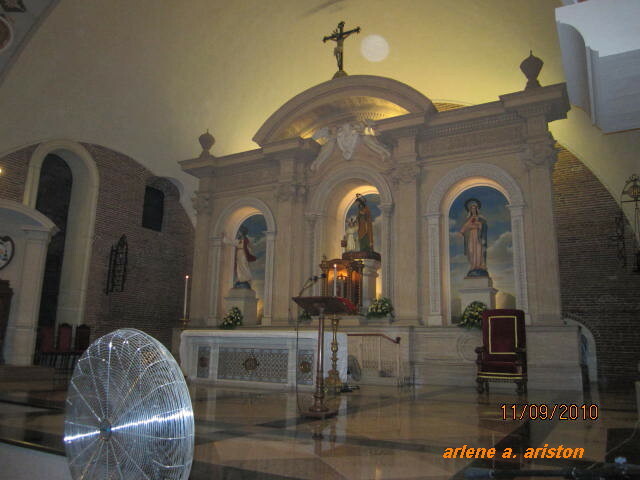 I was in awe of the Cathedral Parish of St. Joseph. 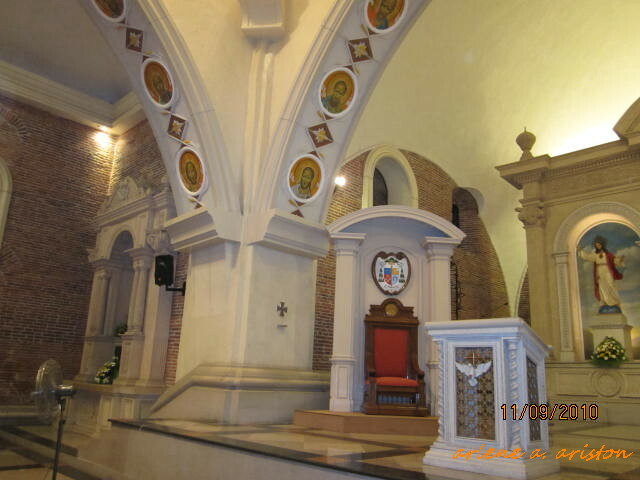 It is a beautiful church. 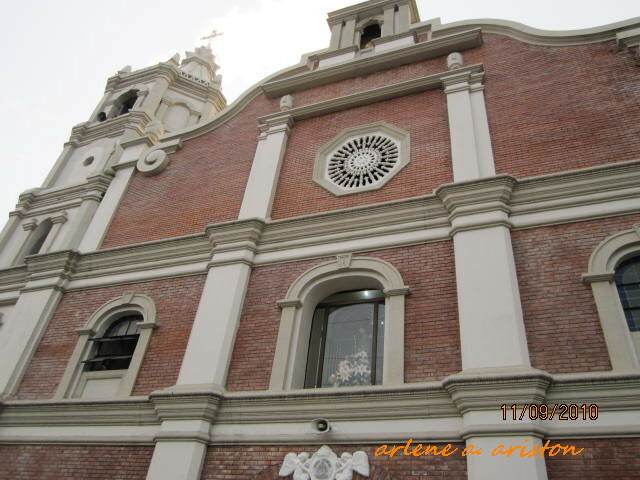 It was my first time to attend mass here so I was too excited. We met Fr. Jhoen before the mass and he asked, “hindi kayo nawala?” I was proud to say, “hindi naman po”, because I had Melissa’s sketch on how to get there from their place. 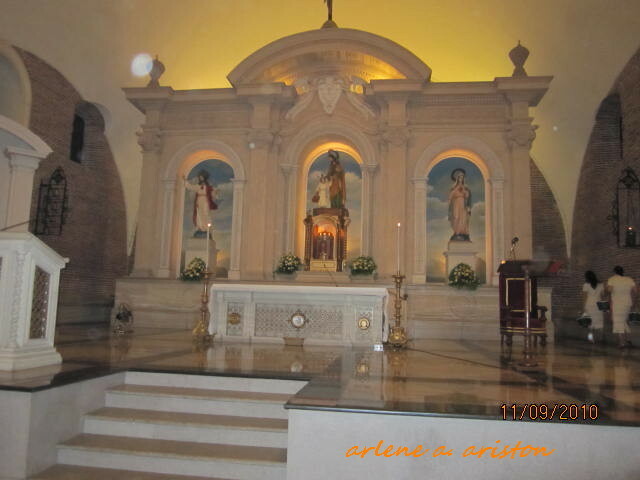 How beautiful the altar is! I promised myself I would take a shot or two before we get home. Here’s the fun part. We said goodbye to Fr. 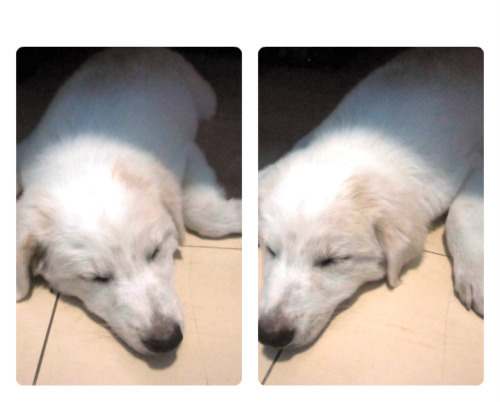 Jhoen after the mass and proceeded to go home. I was so sure we did the right turn going back to Cataning and even told the hubby to watch the bridge. Imagine our surprise when we reached the highway without knowing how to get back to Mely’s place. I was frantic, so I asked “this is the road going back to Manila, right?” I suggested we hire a tricycle that we could follow so we won’t get lost further but he insisted that we just did a wrong turn. I was getting afraid because the road was dark and it was quite hard to locate for a place that you are not familiar with. After almost twenty minutes of traveling and asking someone how to get to Cataning, we finally found our way back. Hubby just said, it was a learning experience! After dinner, Mely told me that some members of their choir are coming over to render a few songs! I was excited to meet them. 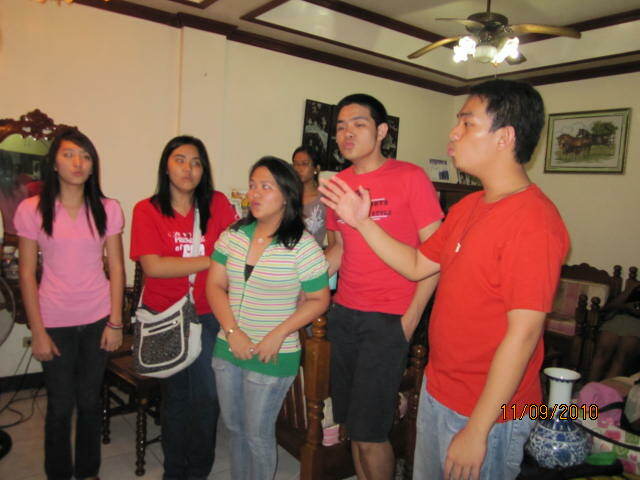 And the excitement turned into awe and admiration once they started singing their first number, Bituing Walang Ningning. What marvelous voices you have guys! I really enjoyed the evening watching and listening to all of you sing. Tagumpay was followed by Emmanuel . Singing A Cappella, their voices soared to high heavens. It was a touching scene. Finally, a group shot. Thank you guys from the bottom of my heart. From left to right: Daryl Mateo, Coco La Torre, Jude Flores, Mel Flores, Red Loyola, Nyco Angeles, Mely Flores, Liza Marie Nery, LJ Indemne, Arvee Jenika Mendoza, Johnalyn Cabana, Jonalyn Cruz, Jerson Barcelona and Amiel Kim. It’s always a thrill to meet new friends and visit new places. It was just an overnight stay but I kind of enjoyed it. Hopefully, we could go back again to watch and hear you sing.